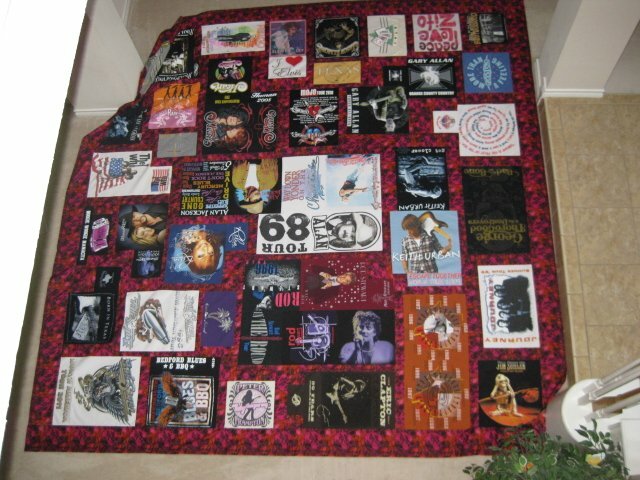 Learn the special rules, tips and techniques that are used in making a t-shirt quilt from your favorite or commemorative t-shirts. From the simple to the complex, we will discuss them all and make a memorable quilt for you or your loved one. This will be a step by step, multi-week project. First Class: Time 2 1/2 hours. Discussion only of types, techniques, and demonstration in the use of interfacings, block size and arrangement of graphics, for your t-shirt quilt. Bring a selection of t-shirts along with your thoughts, ideas, questions, paper and pencils. Second Class: Time 2 1/2 hours. Work time, questions and discussion.